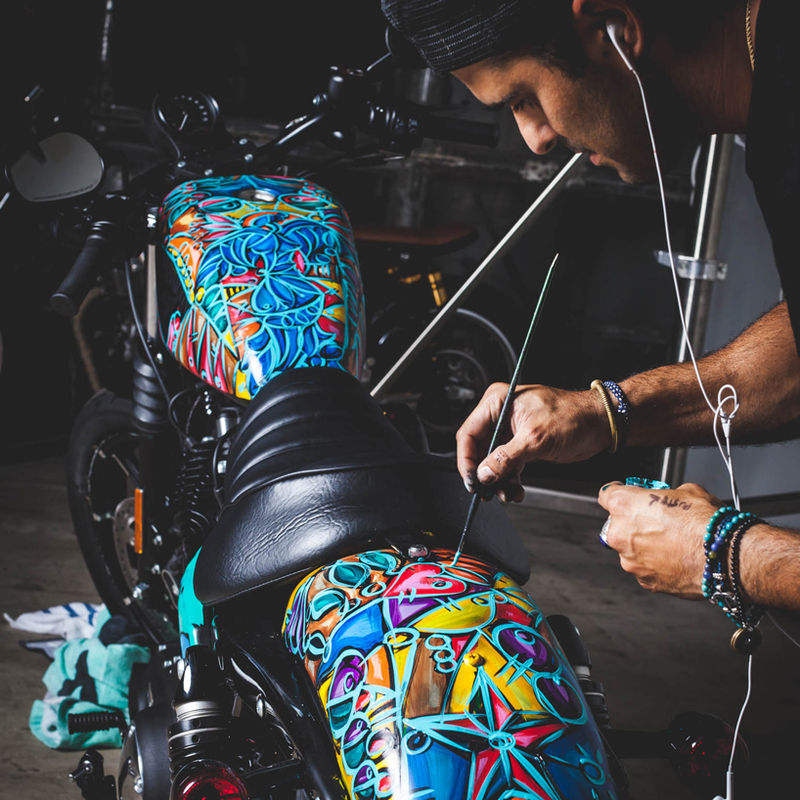 motorcycles and scooters are two or three wheel vehicles suited for long distance travel, commuting, cruising, racing and off-road riding. 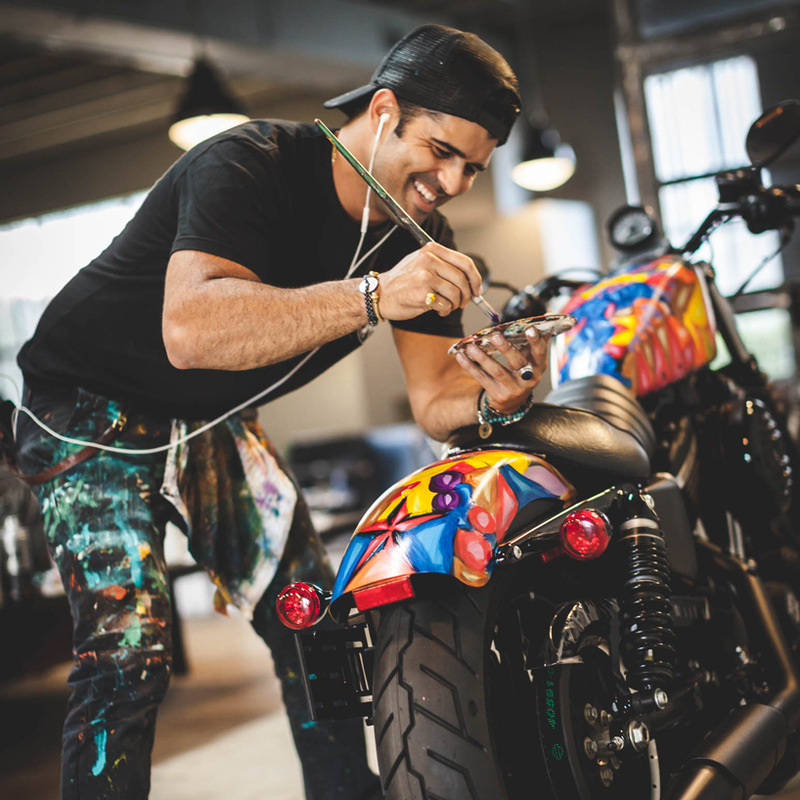 miami-born artist and muralist alexander mijares has stamped his colorful and energetic signature work into a harley-davidson motorcycle. 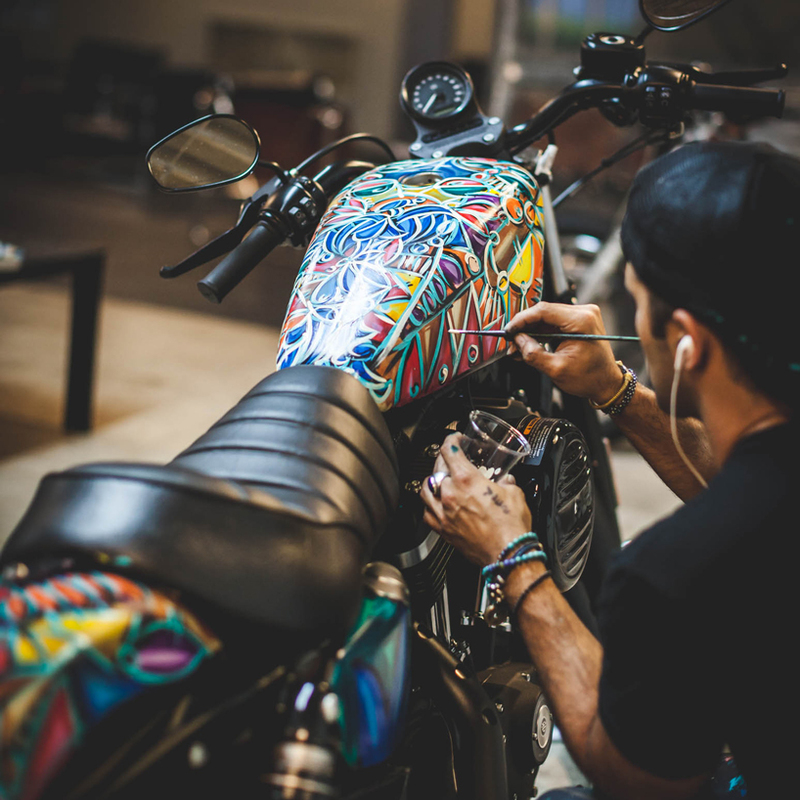 the customization sees the artist paint the bike’s body and transform it into a piece of art that perfectly blends with harley-davidson’s ideals of personal freedom. 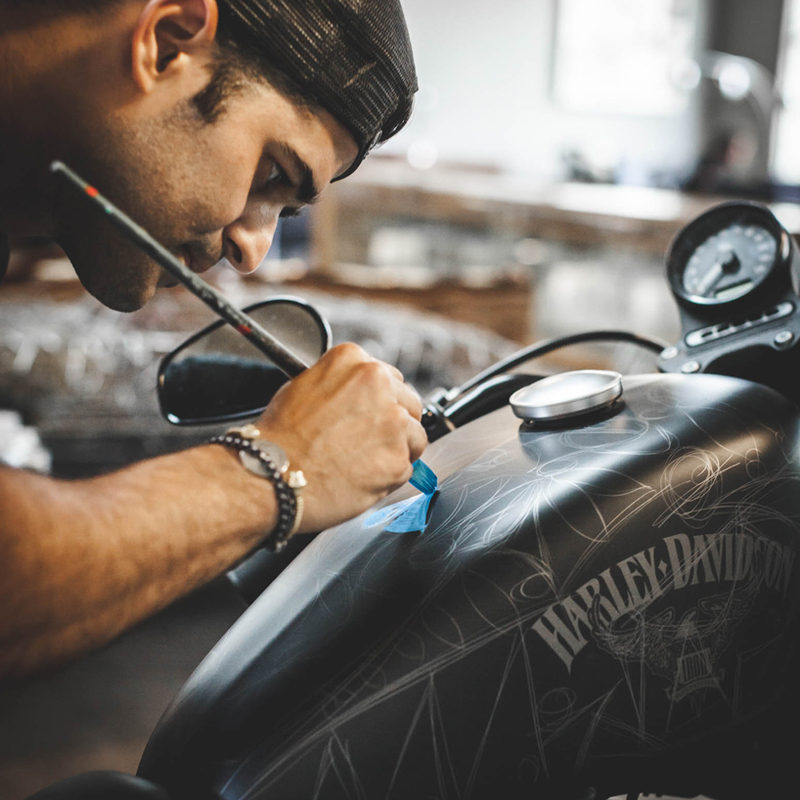 realized to honour the father of american old school tattooing — norman ‘sailor jerry’ collins’ — mijares injects his lively cuban heritage into the design. 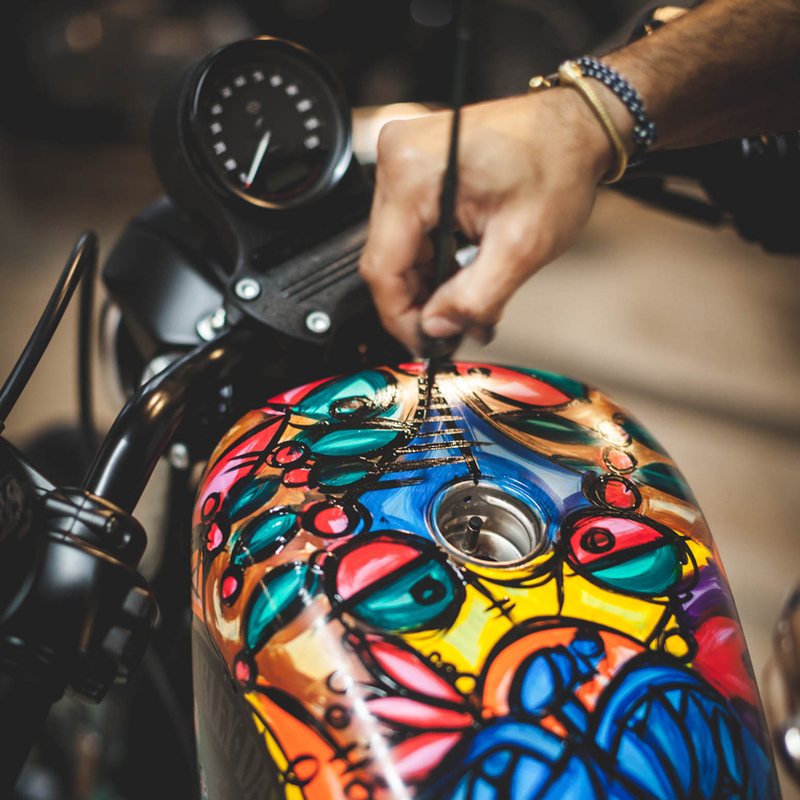 the project results from the partnership between sailor jerry spiced rum with harley-davidson who have commissioned high profile artists and visionaries from around the united states to transform a series of twenty-two harley-davidson motorcycles including the harley-davidson forty-eight, harley-davidson iron 883, and harley-davidson roadster. 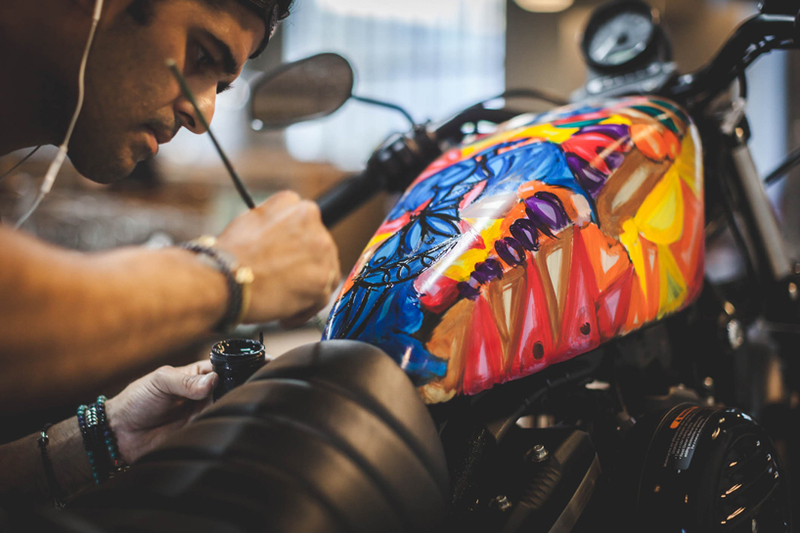 alexander mijares’ intervention is the perfect example of his work, full of flavor, color, texture and layers. 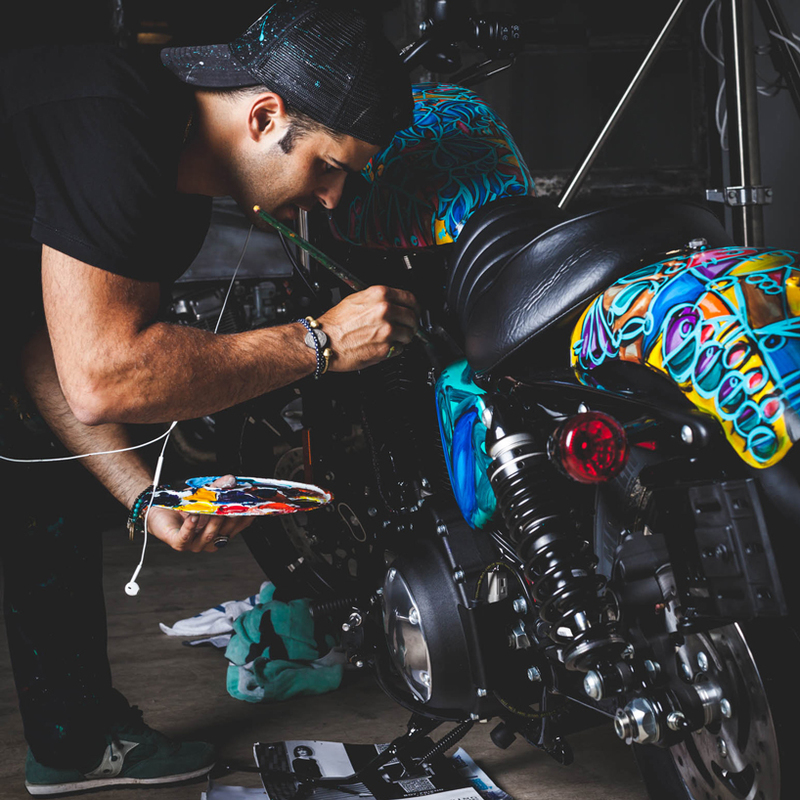 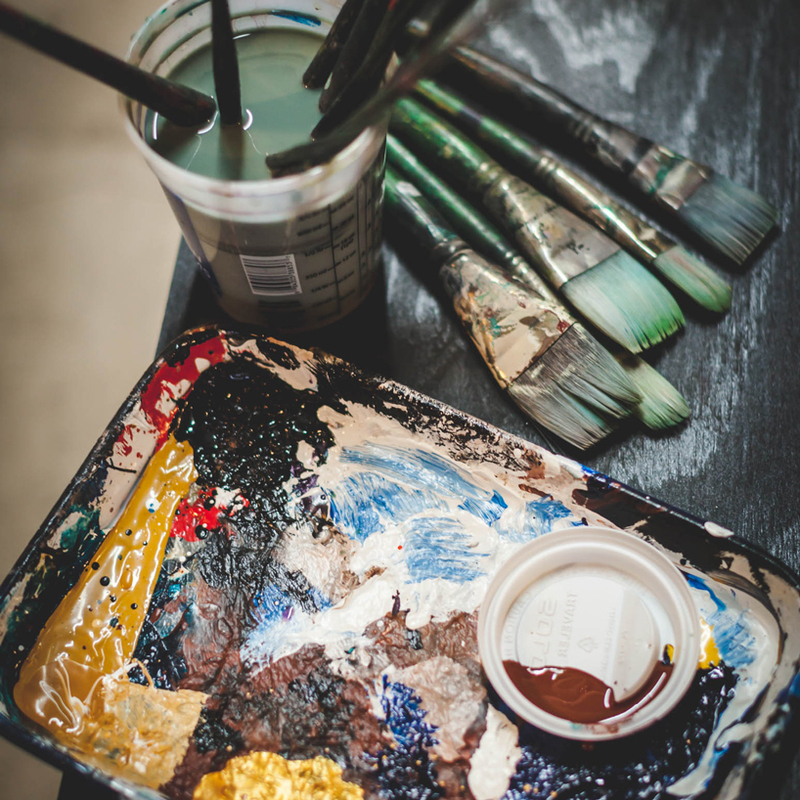 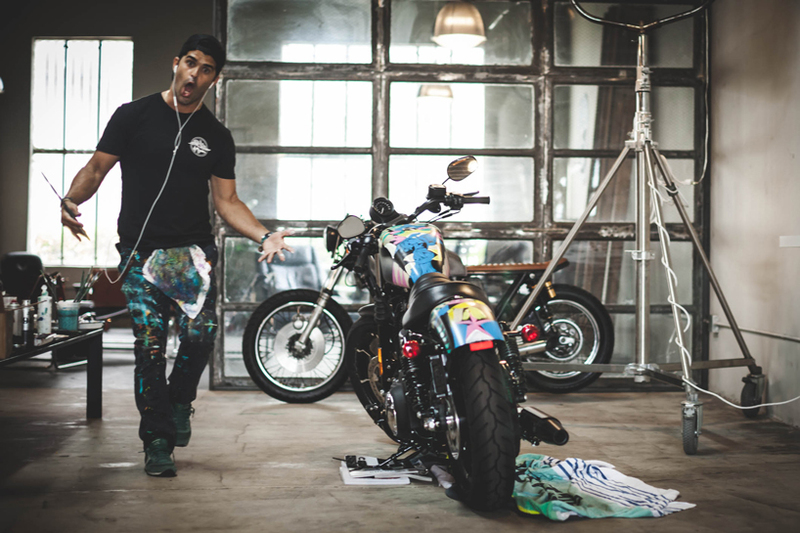 the painting adds extreme movement to the motorcycle, revealing different shapes and figures depending if looking from close or afar, showcasing the perfect mix between fine art and street art. 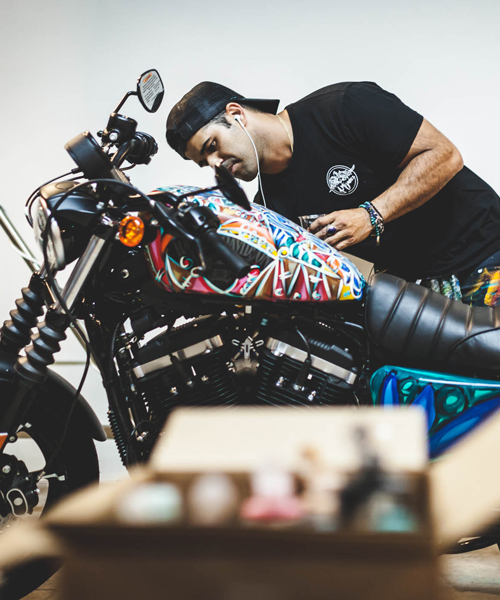 other artists that were part of the project include acclaimed tattoo artists jonathan valena aka jonboy, oliver peck, and megan woznicki aka megan massacre; celebrated automotive designer michael ‘buckwild’ ramirez and artist l’amour supreme. 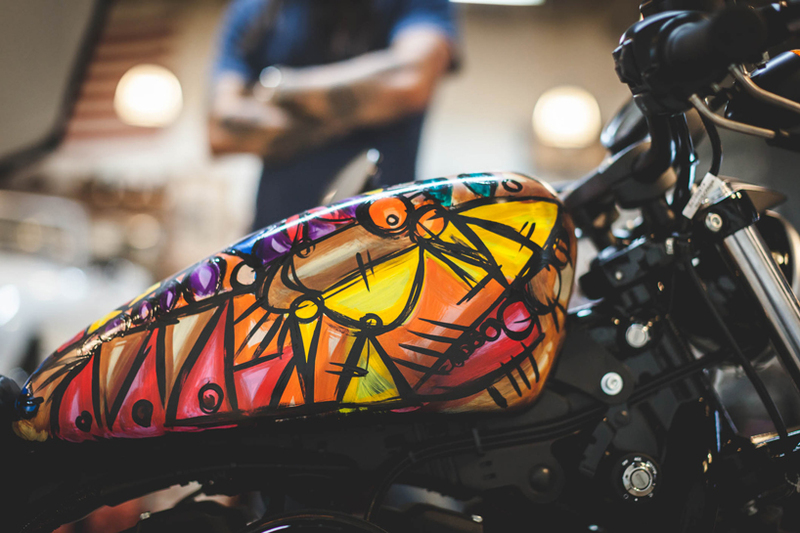 each one was tasked with interpreting the infamous flash art style of sailor jerry into their unique motorcycle design.